Europe's Barroso: "Proud to have believed in ITER"
José Manuel Barroso, the President of the European Commission, is convinced that the future of Europe is in science and innovation. 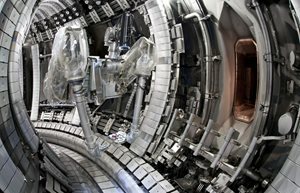 On 11 July 2014, he visited ITER to reaffirm Europe's commitment to ITER. 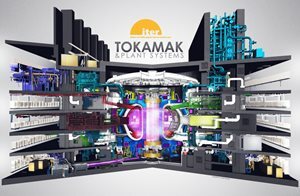 In the official photo of the ITER Agreement—signed at the Elysée Palace in Paris on 21 November 2006—he occupies the place of honour at French President Jacques Chirac's right. José Manuel Barroso, whose second term as European Commission president ends in October, recollected that day during a recent visit to ITER on 11 July 2014. 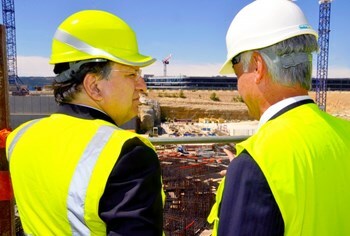 "Eight years ago, along with President Chirac, I worked hard for ITER to be located here. The European Commission is proud to have believed in this project." 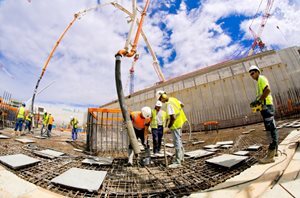 Part of a tour of strategic projects in Europe aimed at fighting climate change and facilitating worldwide "energy transition," President Barroso's visit took place as concrete pouring was getting underway on the part of the Tokamak Complex basemat that will support the ITER machine—an important moment for ITER construction. Accompanied by French Secretary of State for Higher Education and Research, Geneviève Fioraso, President Barroso strongly reaffirmed Europe's commitment to ITER, because, as he stressed, "the future of Europe is in science and innovation. 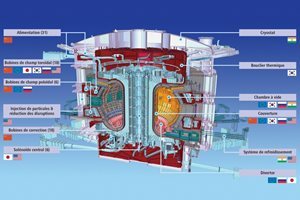 As the gateway to industrial and commercial fusion, ITER presents a unique opportunity for our industry." In a humorous aside to ITER Director-General Osamu Motojima, he concluded his visit by saying: "I'm responsible for coordinating the action of 28 countries—you, 35. I know it's not easy every day!"